Over looking small lockout and tagout CAUTION signs is a serious risk to personnel safety and costly equipment damage. 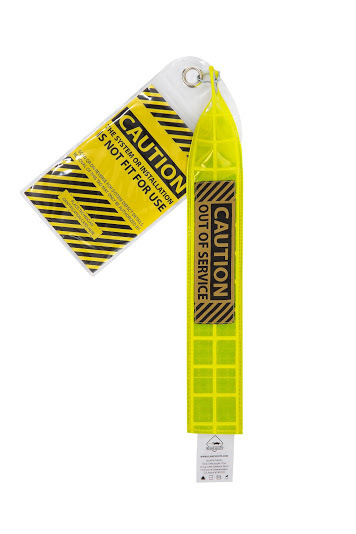 For those 'must not be missed' tag out applications the Plane Sights 2x12" lime-yellow reflective CAUTION tag will exceed your expectation of extreme tag obviousness. Designed for the rigorous abuse of oil and gas - industrial applications.